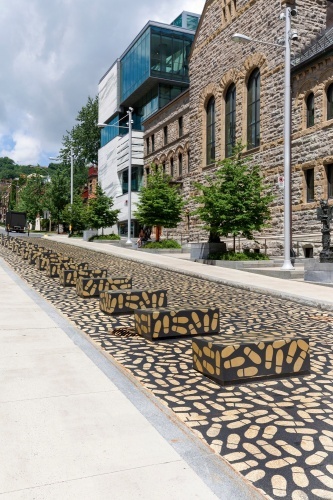 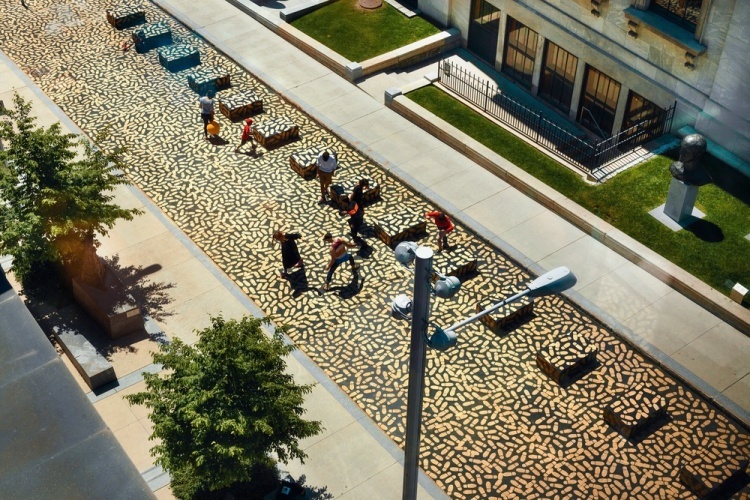 Jean Verville has created a trompe-l’œil style paving installation along Montréal’s Museum Avenue. 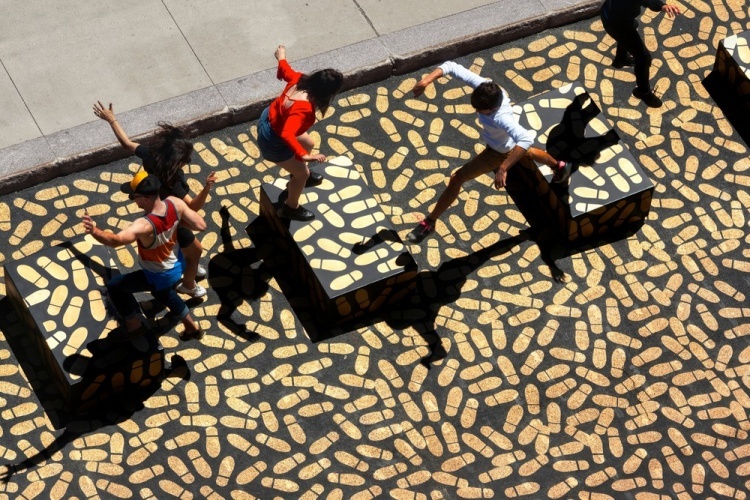 Dance Floor is the winning project from the Montréal Museum of Fine Arts’ competition for the development of Museum Avenue. 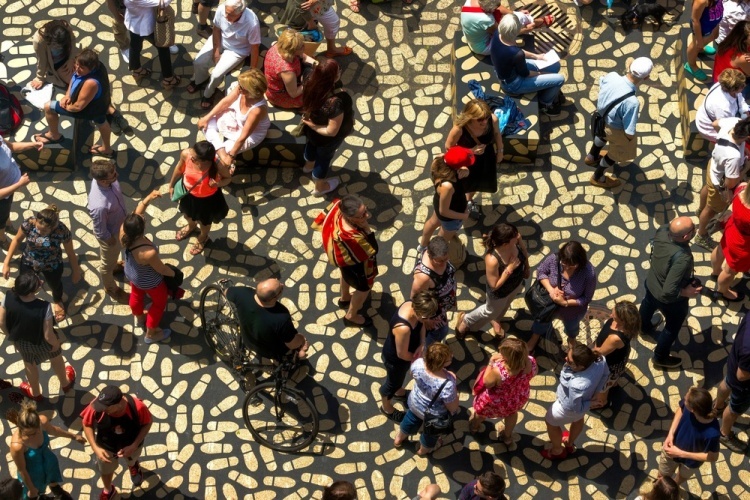 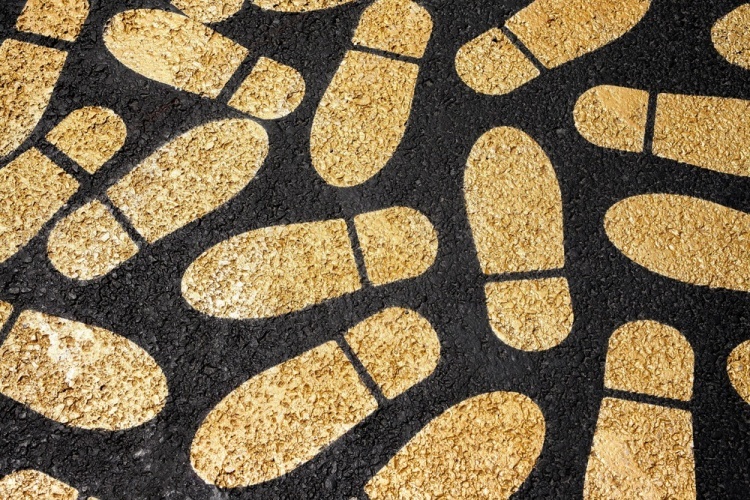 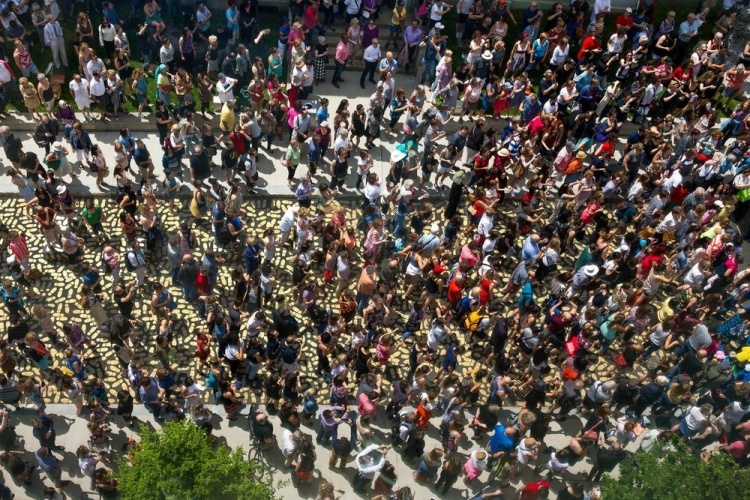 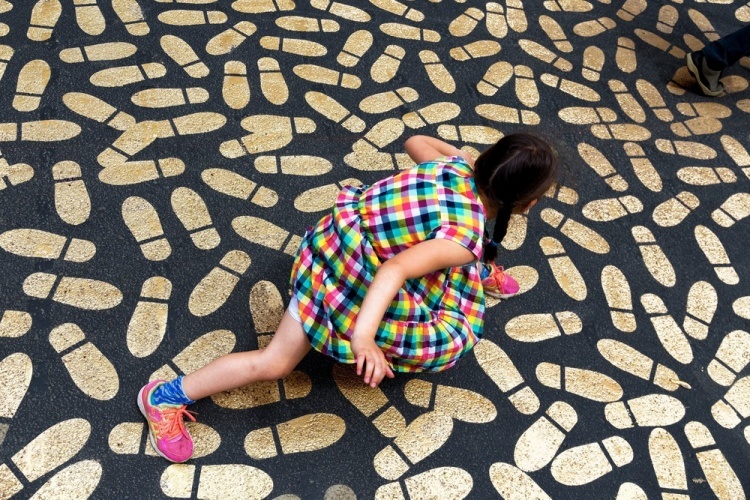 The 279m2 dancefloor-inspired installation comprises a black and gold mosaic made up of more than 5,000 footprints.